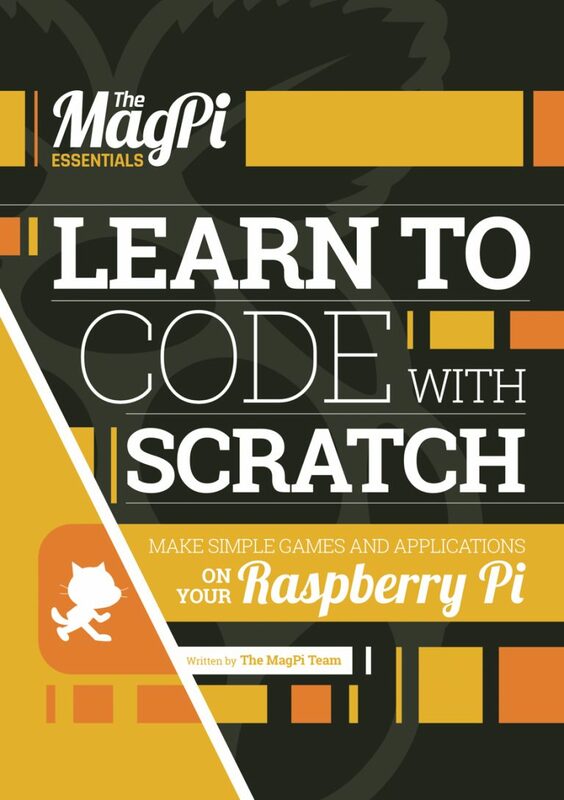 The MagPi magazine has posted the e-book Learn to Code with Scratch . The e-book describes how to make simple games and applications on the Raspberry Pi. Scratch is a visual programming language developed at MIT to teach kids how to code. There is a web version of Scratch on the website too. This entry was posted in Blog, Software and tagged Animation, code, games, kids, programming, Raspberry Pi, Scratch on June 28, 2016 by o-brane. 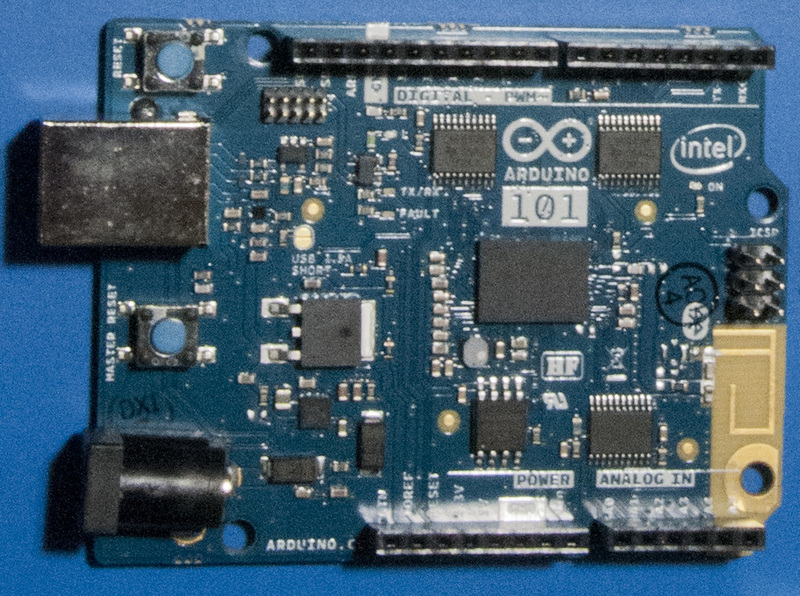 I just learned that the Arduino 101 is sensitive to intense light. Bright light interferes with the power load switch and causes voltage dropouts. For more information, see Gerrit Coetzee blog on the subject. 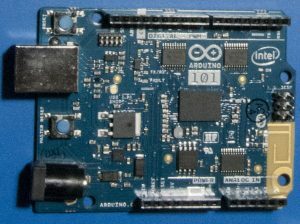 This entry was posted in Blog, Electronics, Hardware and tagged Arduino, Curie, Intel, Photosensitivity on May 6, 2016 by o-brane. I’m trying to make a case for my Raspberry Pi (RPi) with an Adafruit PiTFT 2.8 inch display and was modeling it in Sketchup 8. I made a simple model of the PiTFT display and then started looking for some 3D Sketchup8 models of the RPi Model B with 512MB of memory from the Sketchup 3D Warehouse to save some time. Connectors between the RPi and the PiTFT display did not fit quite right. A few measurements showed that some of the parts and boards were the wrong size. My list of models investigated so far is shown below. Raspberry Pi – Model B Rev2 by Gandy file Raspberry-Pi—Model-B-Rev.skp: The GPIO pins are spaced incorrectly at 2.4 mm and should be spaced at 2.54 mm. The board length is 86 mm and should be 85 mm. Raspberry Pi Rev 1 by Billmar file RaspberryPi_FN120401823.skp: The board size and GPIO pin spacing seems to be good. For the few things I measured, this is the most accurate model so far. As this is model is for Rev 1 of the board, it does not have the mounting holes I’m looking for. raspberry pi 3d model B 512 by Clavis file RaspberryPi.skp: The board size measures 81.9 mm but should be 85 mm. The GPIO pin spacing is 2.4 mm and should be 2.54 mm. This entry was posted in Blog, Raspberry Pi on July 29, 2014 by o-brane. This graphene FET toy physics model is primarily based on the graphene physics described in the paper Electronic transport in two dimensional graphene by S. D. Sarma et. al. and from materials properties data found in a number of sources (see the Description tab for the details). I’d appreciate any comments on errors, problems, inaccuracies, or how to make this model better. The IV Model tab allows you to selected the gate dielectric, dielectric thickness, mobility, gate voltage, phonon energy of the dielectric, drain-source voltage, drain-source length and width, and the resulting IV curve is plotted for these parameters. The Performance Table tab shows a summary of the graphene FET performance based on the selected values on the IV Model tab. The Materials Properties Tab shows the dielectric constant, breakdown voltage, and optical phonon energy for each gate dielectric that can be selected in the IV Model tab. This entry was posted in Blog, Mathematica, Model and tagged Graphene, IV Curve, Material properties on April 15, 2014 by o-brane. This entry was posted in Blog, Mathematica, Model and tagged Applciations, Distributions, Markets, Plots, Terahertz on April 10, 2014 by o-brane. Installing the kernel and drivers to get the Adafruit 2.8 inch touch screen operation was more involved than I expected, but it is working. It just need some tweaking to set it up so that the GUI can be used more easily. The RPi seems to be set up for a 1080×760 monitor but the touch screen is only 320 by 240. At least one configuration file will likely need updating to make the background and applications windows fit better. 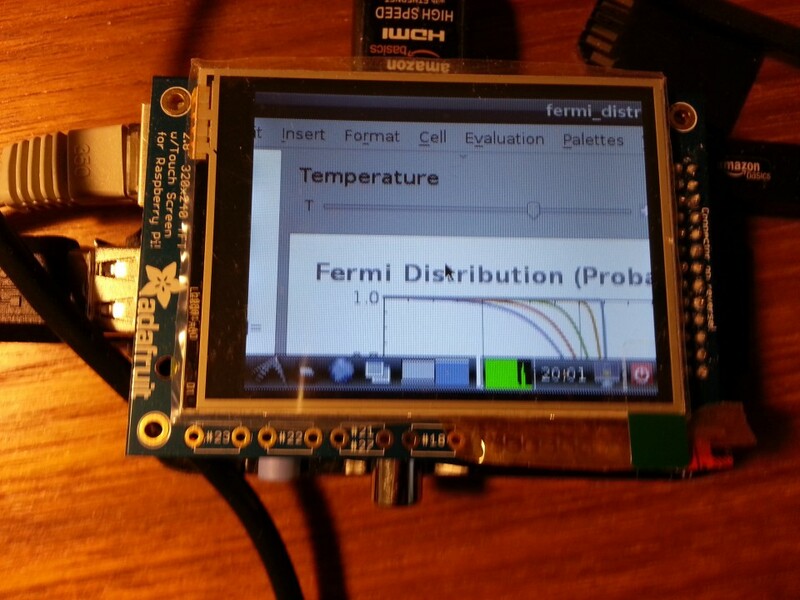 I used the Occidentalis v0.2 kernel build as described in the Adafruit instructions for the PiTFT touch screen. The instruction have you build a new kernel so it takes a while to get it running. After building the new kernel, the Wolfram language package needs to be installed as the Wolfram language only comes pre-installed in the Rasbian distribution in the NOOBS loader. This went smoothly but I’ve had one of my CDFs crash Mathematic so some troubleshooting is still required. The RPi distribution via NOOBS seemed to be faster and more responsive than this version when it was first installed. The Ethernet adapter was not set up to run automatically, and the wireless interface was not configured to connect to hidden station IDs. Changes to the Interfaces configuration file enabled the Ethernet port. Later updates to this file, enabled a wireless connection too. After upgrading the packages, it seems to be much more responsive. The photos below show the display just after boot into x-windows and with the Fermi-Distribution function notebook running in Mathematica. Raspberry Pi with an Adafruit PiTFT 2.8 in touch screen running in x-windows mode. Raspberry Pi with an Adafruit PiTFT 2.8 in touch screen running in x-windows mode showing a Mathematica notebook running. It’s easier for me to use and remember operations in a GUI like Windows XP rather then a command string operation system like Linux so I keep a cheat sheet of command. These commands were used repeatedly for this activity and are listed below. Updating the firmware on the RPi requires the rpi-update tool. The tool is on github along with the direction for installing it. The rpi-update will rebuild a new kernel. It might take a little while. When it completes, then reboot the RPi. sudo shutdown –r now (to reboot the RPi). Brian’s life blog has another good description on how to install the SPI drivers and use them. See the eLinux.org wiki about USB wireless adapters and installing the drivers. Edit /etc/network/interfaces using the nano editor and add the following if not already present for access to a hidden network (see How to setup a Raspberry Pi with a hidden network using a Edimax EW-7811Un). First, generate new RSA key (see Remote Access from eLinux.org). to open using the x-windows server in Linux or a x-winders server in Windows. The x-window server must be installed on Windows first before starting an x-session. 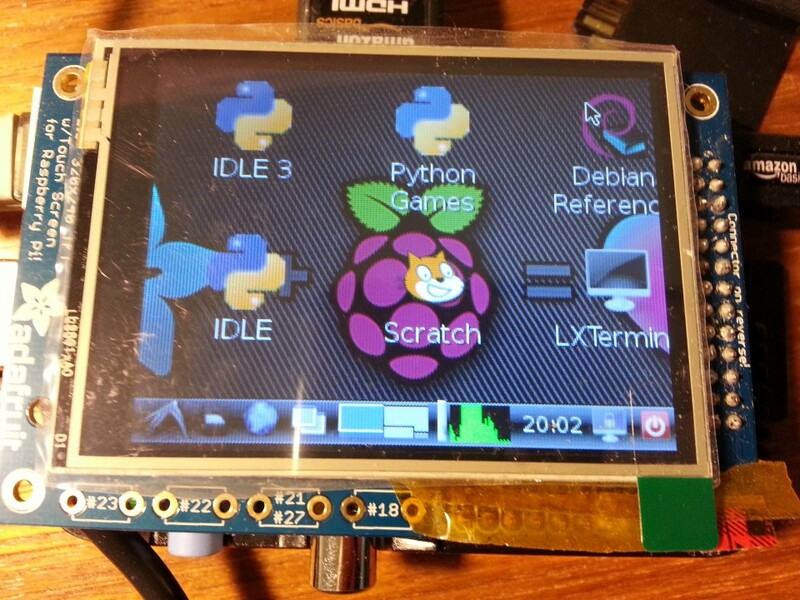 This entry was posted in Blog, Electronics, Hardware, Linux, Mathematica, Raspberry Pi and tagged GUI, Linux, PiTFT touch screen display, Raspberry Pi on April 8, 2014 by o-brane.